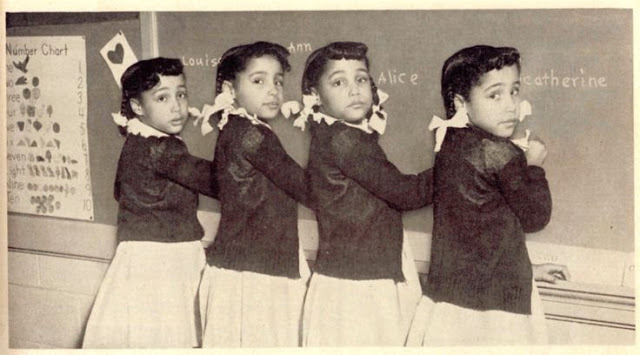 Mary Louise, Mary Ann, Mary Alice and Mary Catherine were born on May 23, 1946, at Annie Penn hospital in North Carolina. 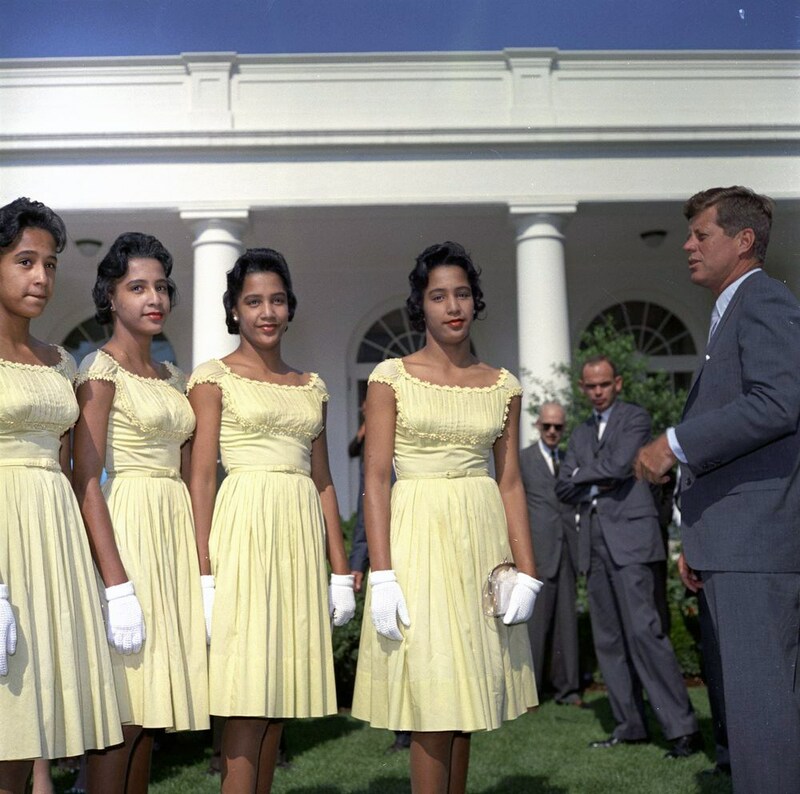 Also, known as “The Fultz Quadruplets”, they were the first recorded identical black quadruplets in the world, and the first set of quads to survive in the South. If the fact they are all named marry isn’t weird enough for you, it’s worth noting that they weren’t named by their father, mother, or any genetic relative. They were named in fact by their doctor. Dr. Fred Klenner delivered and named the girls after women in his family. His wife name was Ann (Marry Ann), his aunt’s name was Alice (Mary Alice), his daughter’s name was Louise (Mary Louise), and his great aunts’ name was Catherine (Mary Catherine). What authority did this doctor possess to name someone else children? We’ll come back to this question at the end of this post. 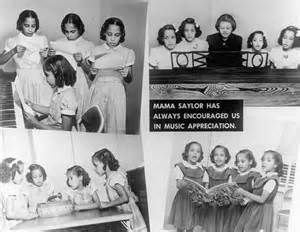 The girls were born at the segregated wing of the hospital in what was referred to as the basement, and Mr. and Mrs. Fultz were poor. 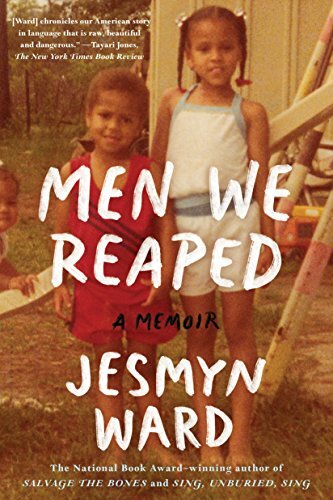 Mr. Fultz (whose name was James, not Pete as he was called) was a Sharecropper, and Mrs. Fultz being both deaf and mute, couldn’t read and write according to And Then There was One by Lorraine Ahearn, (August 2002). Besides this, the Fultz’s had six other children, was without a car, without electricity, phone and running water. Thus, they didn’t debate when Klenner negotiated a deal with a Pet Milk Company who paid all medical expenses, food, land, a house, and a live-in nurse to care for the girls. All of this was in exchange for using the girls for promotional purposes. Klenner even created a schedule where people could come and visit the quads, who were put on display behind a glass screen. Pet Milk sales skyrocketed as the girls helped to brand the product, becoming the face of Pet Milk. Pet Milk? The Quads were adopted by Charles and Elma Saylor, who moved them to Yanceyville, and their travels became more frequent. 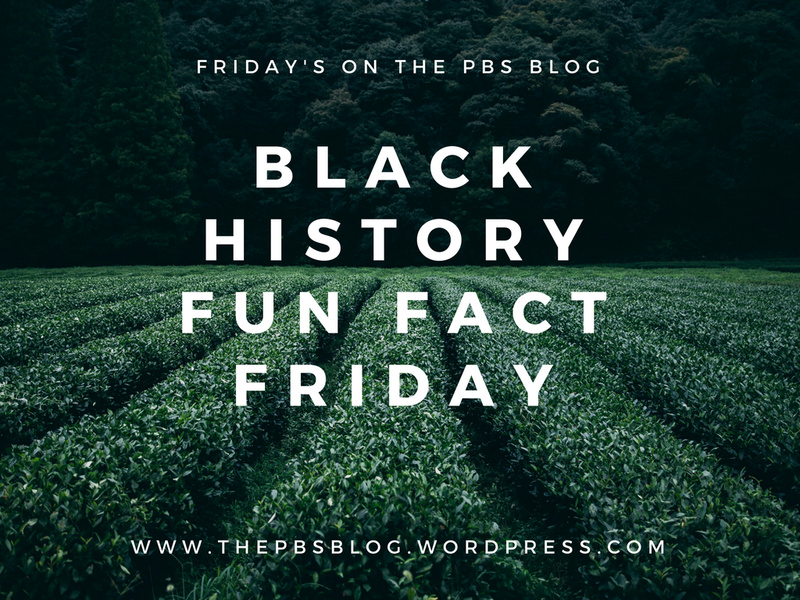 They flew to Chicago at the invitation of Ebony publisher Johnnie Johnson, who featured them on his cover four times, appeared in Chicago’s star-studded Bud Billiken Parade, went on TV with Roy Rogers and Texas Pete, and would go on to appear in many more ads and make TV appearances. 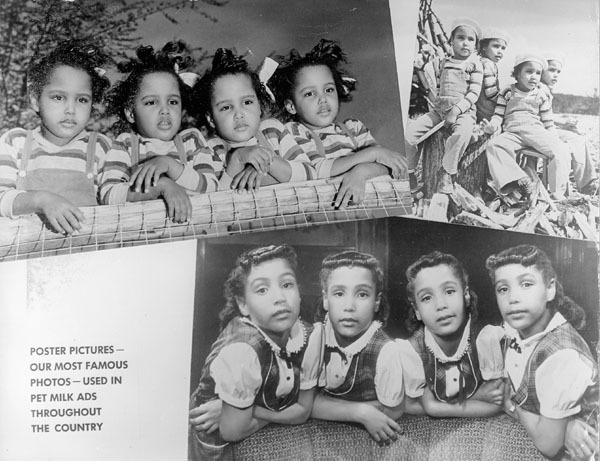 At thirteen (1959) they performed as a string quartet in the annual Orange Blossom Festival in Miami, Florida and at sixteen (’62) they were featured in a Pet Milk ad for an autographed picture. Many remember them most from their visit to meet Presidents Harry S. Truman and John F. Kennedy. Now, back to our question: What authority did this doctor possess to name someone’s children? 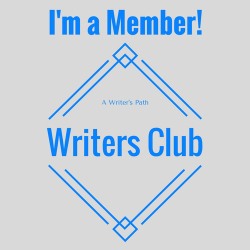 The Three-Fifths Compromise – I’m not going to debate the “Three-Fifths” human being thing because it’s a silly debate to me. What I will do is discuss only the facts. It is a fact that the label minority in reference to many ethnic groups, namely African Americans and Hispanics, is misleading. Not only do ethnic peoples represent the majority of the nation but in the fight to maintain slavery, enslaved persons outnumbered whites in the slave states (or rather states that were admittedly slave states). It was the desire of the Democrats (who were pro-slavery) to overturn the legislation if they could get a majority vote. There was however a problem: Blacks weren’t even considered human and therefore had no rights. It was not uncommon for a dog to sleep in his master’s bed and an enslaved to sleep on his master’s floor. That said, the Slave states wanted to count the slaves and the “Non-Slave” States didn’t want to count the slaves. Slaves never counted so why count them now? Well, as said, blacks have always made up the majority so the North weren’t having it. With a desire to weaken the slave states they couldn’t have them counting the slaves. They told the south that listen if you count your “property” (it is a historical fact blacks were property, like clothing, milk, and cotton) then we can count our property too. We’ll count our cattle, furniture, pets, and so on in our tallies. Of course, the south refused. Authority and Ownership – Typically, people name their pets after their relatives or give them their last names. It’s a historical fact that enslaved blacks wore the last names of their Slave owners which many still have until this day. Our names reflected our masters because we were their property, they owned us and when you own something, you can name it whatever you want. Parents name their children what they want because they belong to them. Jim Crow Laws – Though no longer chattel slavery, 1940s North Carolina, like the rest of America, enforced segregation through Jim Crow laws (named after a white man performing black face in mockery of blacks in minstrel shows). As such, many cities and states (South AND North) could impose legal punishments on people for interacting with members of another race. The most common types of laws forbade intermarriage and ordered business owners and public institutions to keep their black and white clientele separated. Eugenics – Blacks have long been used for the sake of medical experimentation in America. In the late 30s, thirty states in the U.S. utilized sterilization laws (1938) and by 1942 The American Birth Control League had changed its name to Planned Parenthood. Needless to say, by 1946 we are smack down amid The Eugenics Movement. 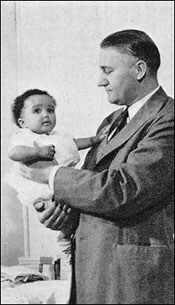 A term coined by Francis Galton (cousin of Charles Darwin, whose Origin of Species is a short form of the longer and original title: “The Origin of Species by Means of Natural Selection: The Preservation of Favored Races in the Struggle for Life”), Eugenics is the process of improving a race by getting rid of those less desirable and fit. 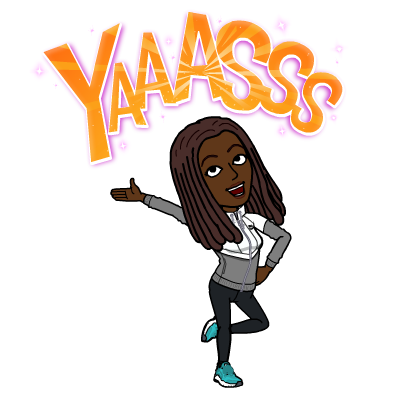 That said the physician-slave relationship is historically well known. In 1847 a state medical convention in Alabama issued a recommendation that doctors caring for slaves seek liens upon the human chattel if their bills were not paid. (Source: New Orleans Medical and Surgical Journal 4, 1848, pg. 678). By 1858, 75 percent of the North Carolina Mutual Life Insurance Company policies were written on slaves. 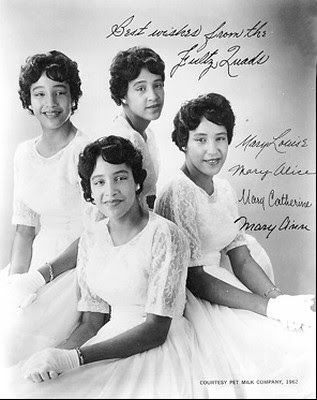 All the Fultz sisters developed breast cancer later in life with only one sister who survived it (Mary Catherine). 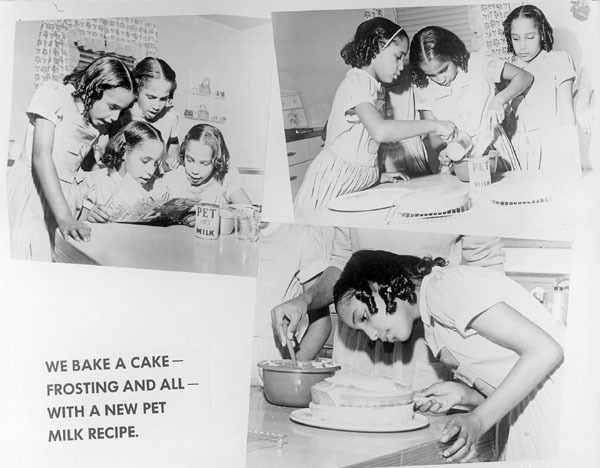 With historical maltreatment of blacks going back to Saartjie Baartman, Ota Benga, The Muse Brothers, and The McCoy Twins, the sad reality is that even though Pet Milk wasn’t a product for pets specifically, the imagery and racial symbolism that have always been associated with blacks (far as being animals or animalistic), is enough to see that Klenner and the dairy companies saw a financial opportunity from the inception and knew exactly what they were doing. Pet Milk became the first to offer nonfat dry milk, an advance over the powdered milk developed in the 1920s. 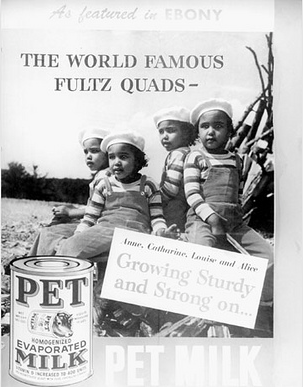 Sales soared when Pet Milk took advantage of the post-war baby boom and promoted The Fultz Sisters who were a national sensation due their rarity, making 1950 the all-time-high sales year for Pet Evaporated Milk. EBONY, “The Fultz Quads” by Charles L. Sanders, Nov. 1968. “And then there was one” by Staff Writer Lorraine Ahearn, Aug. 2002.